Explore the Fire Hall Museum and Education Centre in Cambridge and learn about the history of fire service in the city, and surrounding areas. 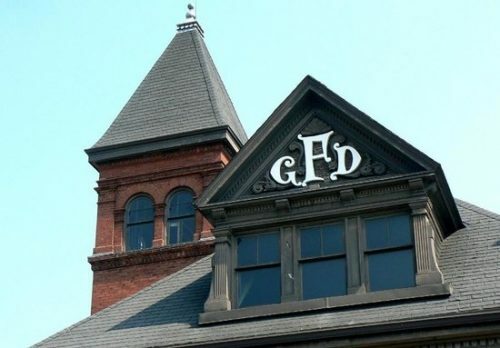 Located in an historic 1898 fire hall in the Galt area of Cambridge, the goal of the Fire Hall Museum and Education Centre is to inform, educate and entertain its visitors. The education centre is used by students of all ages to learn about fire, water, electrical safety and more. The education centre is also used by area fire departments and Conestoga College to educate new recruits about the history and development of the fire service. Through a partnership with Conestoga College the old fire hall has also helped to train a new generation of construction project managers. It is also available for corporate and union training sessions as well as company and private functions: contact the museum for more information. The Fire Hall Museum and Education Centre is also home to a number of vintage fire trucks and gear which can be seen at the museum. Browse the Fire Hall Museum Gift Shop, for vintage toy trains, fire trucks and much more. The museum is open Saturdays from 9:30am to 12:30pm. Nothing is more fascinating than seeing how things are made! This 75 minute guided tour takes you into the heart of the Toyota Plant. See how Team Members and robots build the cars. Located just south of Highway 401 with access off King St. and Speedvale Rd. in Cambridge, Ontario. The park offers a range of sports venues from premier softball and baseball to football and soccer. Stay in the know with local buzz, upcoming events, and what to see & do in Waterloo Region delivered right to your inbox each month!